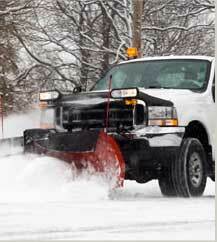 Pro Landscaping proudly offers snow removal for Brampton residential and com- mercial properties. Our team of highly skilled landscapers use only the safest and most effective techniques to clear your property of snow and ice. Our commitment to client satisfaction and safety set us apart from our competitors. We use environmentally conscious salting methods to make sure that your property isn’t damaged, and more importantly, that it’s safe to walk on. Whether you’d like to clear a small walkway, or you’d like us to service a large com- mercial property - there’s no job too big or small for Pro Landscaping. Our Bramp- ton snow removal team is prepared to face the harshest weather conditions to make your property safe and clean. We happily provide all service records to ensure that all safety requirements are being exceeded by our technicians. For snow removal, Brampton property owners can rely on Pro Landscaping to get the job done.